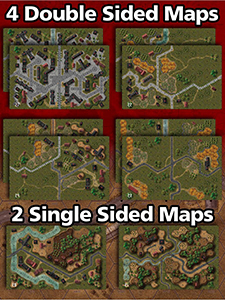 -Four Double Color Geomorphic 8.25 x 12.75 Maps. -Six Counter Sheets with over 585+ counters. -One Color Core system manual featuring the latest v4.1 rules. -One Color Game Module rules, Examples of play with over 25 Scenarios. 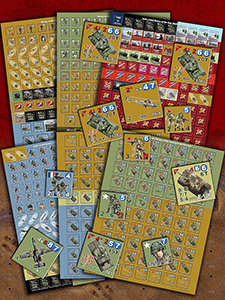 -Three 11 x 17 Player Aid Cards. -Two 8 x 11 Player Aid Cards.